Although stricken with grief, Sunil’s family immediately launched an all-out effort, in person and online, to find their missing relative. Hundreds of volunteers posted fliers around Providence and rallied support and awareness about the missing Tripathi. Over the next few weeks, thousands more uploaded warm, encouraging comments and images to the “Find Sunil Tripathi” page on Facebook and tweeted possible leads. That’s when the web turned bad. Just one day after the Boston Marathon bombings, users of the Reddit forum “/findbostonbombers” organized an unofficial crowd-sourcing effort to help the FBI investigation. 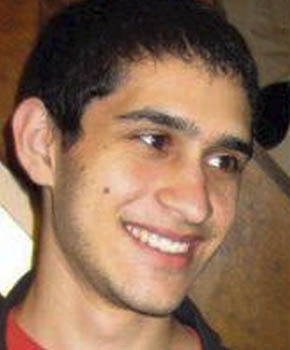 Within 24 hours, some forum users began identifying one of the suspects – the “man in the white hat” – as Sunil Tripathi. The report spread virally. Old photos of Tripathi began appearing online, as well as information about his friends and family. Celebrity blogger Perez Hilton took to Twitter to inform his over six million followers that Suspect #2 was indeed Sunil Tripathi. “Rumored Boston bombings Suspect 2 #SunilTripathi is still on the run and believed to have more explosives on him,” he tweeted late on April 19th. Established media outlets like Politico, Buzzfeed, Newsweek and others amplified the rumor as the “Find Sunil” Facebook page became overrun with vitriolic comments. 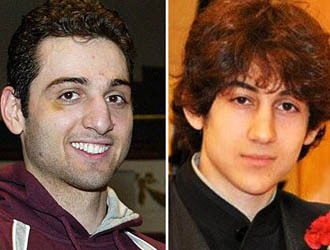 Suspect #2 was, of course, later identified by police as Dzhokhar Tsarnaev. Tripathi’s family tried to clear his name, but the damage was already done. Of the many questions stirred up by the Boston attacks, few may be as thorny as finding the balance between safeguarding privacy against the proliferation of immediate, real-time images from just about anywhere. In the past, traditional civil liberties groups have raised red flags about the proliferation of closed-circuit security cameras and software that can help track individuals through their credit cards. Now, mobile technology allows people to be tracked in real time down to just a few feet, and the explosion of mobile cameras mean just about anybody can take pictures of you and share them online, where just about anybody else can say whatever they like. There’s little doubt that closed-circuit, or CCTV, cameras can help investigators in the wake of an act of terror – the London Tube bomber was identified nearly immediately from TV surveillance, and it was a camera outside a Lord & Taylor store in Boston that provided the first visual clues to the marathon bomber’s identities. But those systems are generally under some degree of control to ensure privacy protections. Individual’s mobile phones and websites are not. And that is renewing worries about the Internet as a place of vigilante justice. In addition to Tripathi, Suspect #1 was erroneously identified as “Mike Mulugeta” – incorrect. Other Reddit sleuths targeted someone who came to be known as “Blue Robe Guy” – again, incorrect. A picture of two young men in the crowd – one in a blue track jacket and both possibly of Middle Eastern ancestry – exploded from online posts on 4chan and Reddit, eventually finding its way onto the cover of the New York Post under the screaming headline “BAG MEN.” The young man in blue, Salah Barhoum, is a local high school student who runs track who had nothing to do with the bombing. That, however, did not make him feel any safer – once more, incorrect, and troubling for a scared teen. A Twitter user, ostensibly named “Dzhokhar Tsnarnaev“, began tweeting things like “I will kill you as you killed my brother.” It’s a bogus account, but that didn’t stop some Boston police from tweeting it out as fact. Not just incorrect, but potentially dangerous too. More errors can be found here, and even this is far from exhaustive. Of course, traditional news media made their share of errors as well. And defenders of both social media and the large news outlets point out that the web allows for nearly instantaneous corrections also, so that rumors can be shot down almost as fast as they spread. But it’s the almost part that is troubling. Once a rumor seeds itself online, it can be practically impossible to dig it out. And the web has yet to develop any sense of editorial filtering – the sorts of things that stodgy “old media” do to verify a report before running with it. Some new media, like Reddit general manager Erik Martin, have publicly apologized to Tripathi’s family; others, like Hilton, have not. For Tripathi’s family, no apology may erase the pain and hurt. But even Martin, in his apology, failed to propose any corrective actions, instead just “hoping” that the web learns how to behave in sensitive or dangerous situations. At its best, the Internet helps corroborate and develop leads. In Boston, it was an eyewitness account in addition to the CCTV footage that provided the first clues, which were then enhanced through the large number of citizen photos taken before and after the explosions. But at its worst, the web can degenerate into a frontier-style vigilante mob that can be hard, even possible, to control. And as of this writing, Sunil Tripathi remains missing.